I had the privilege to hear one of the new voices of rock in Austin at a recent SXSW concert. And it’s hard to believe that the lead singer Jendayi and other other band members in the Charlie Bell band are only about 14 years old! On the day I met them, they were also being filmed for Smart Girls at the Party, a site dedicated to celebrating kids being themselves. If the quality of music I heard is any example, being themselves is going to lead to great things for this Austin-based band. 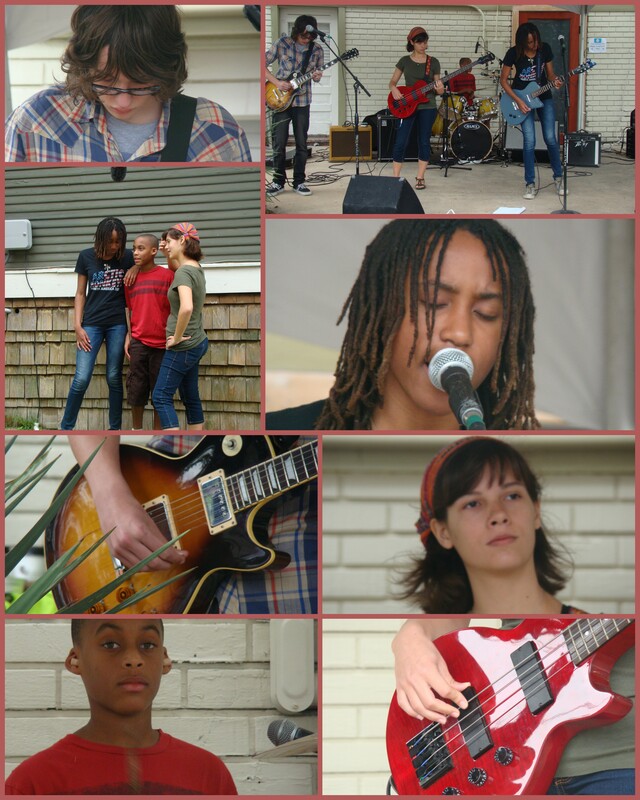 At an age when most kids are hanging out on Facebook, or texting friends about the latest school rumors, this group of talented young musicians already has gigs at Antone’s, The Cactus Cafe and SXSW to their credit. This entry was posted in R is for Rock and tagged band, local musicians, music. Bookmark the permalink.